Portland, OR - Environmental defense groups filed suit in the Federal Court for the District of Oregon today challenging the U.S. Forest Service over a massive Mt. Hood timber sale they claim undermines public process, threatens endangered species habitat, and increases fire hazard. The Crystal Clear Restoration project includes 7,498 acres of commercial logging on the eastern shoulder of Mt. Hood National Forest near the White River, including 3,494 acres of logging mature and old growth forest. This is the largest timber sale planned on Mt. Hood in over a decade and would extract the equivalent of double the timber volume annually logged from the entire forest. View more images of the Crystal Clear Timber Sale area courtesy Bark. The Environmental Assessment prepared by the U.S. Forest Service states that conditions in the project area could generate “uncharacteristic wildfire” and logging to reduce fuels is necessary. However, the planned logging isn’t near any communities and is outside of the area prioritized for fuels management by Wasco County’s wildfire protection plan and the Mt. Hood Strategic Fuel Placement Plan. “The Forest Service confirmed that more than half of the area is within its normal fire cycle most of which naturally experiences mixed-and high-severity fires, while at the same time claiming it needs to be logged to reduce the severity of fire. This does not demonstrate the informed, science-based decision making we should expect of public lands managers,” Brenna Bell, Bark’s Staff Attorney and Policy Coordinator. The lawsuit identifies building 36 miles of roads and removing fire resilient mature and old growth trees as actions that increase fire ignitions, frequency, and severity. “Forest roads bleed sediment into rivers and streams, split apart wildlife habitat, create barriers to migration, and invite invasive species. There is no way the agency needs all of the hundreds of miles of roads in the project area. Removing and rehabilitating unneeded roads would improve watershed health and habitat connectivity, but the Forest Service did not prioritize this type of real restoration work.” Marla Fox, Rewilding Attorney, WildEarth Guardians. The groups argue there is a lack of scientific support for logging mature and old growth trees for “fuels reduction”. Bark, Oregon Wild, Wild Earth Guardians, and Cascadia Wildlands are challenging that the Forest Service failed to adequately analyze impacts to removing habitat for the threatened Northern Spotted Owl and the new White River pack of endangered gray wolves, to develop alternative proposals, and violated the Mt. Hood Forest Management Plan and Travel Management Rule. “The Forest Service cannot simply exempt itself from the regulations defined under the Endangered Species Act. They are planning to remove more than 2,000 acres of designated critical habitat for the northern spotted owl when they should be protecting and restoring it. 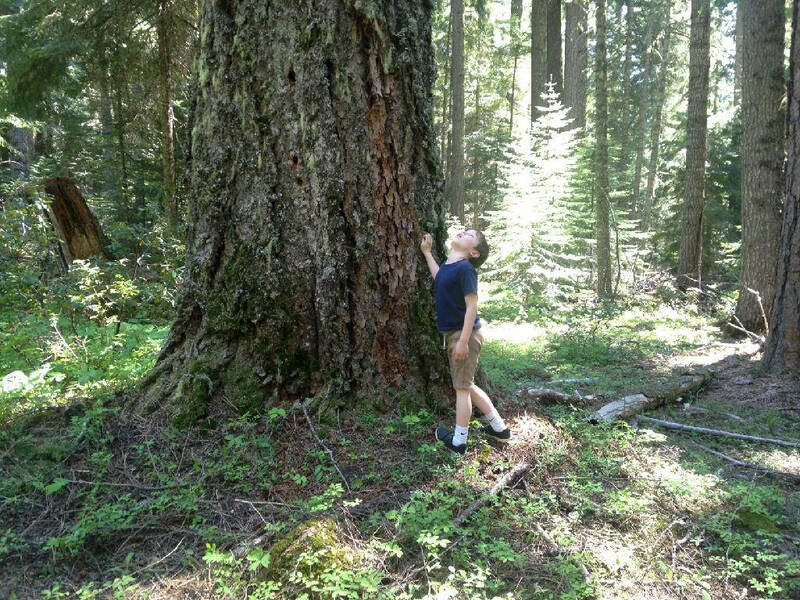 Many native species have returned to their habitats throughout the West, but the impacts of logging mature and old growth forest wouldn’t be restorative at all.” Courtney Rae, Associate Director, Bark. Last year, gray wolves were confirmed in the White River area for the first time in 70 years and last week the first images of pups were released by BNR-Confederated Tribes of Warm Springs. 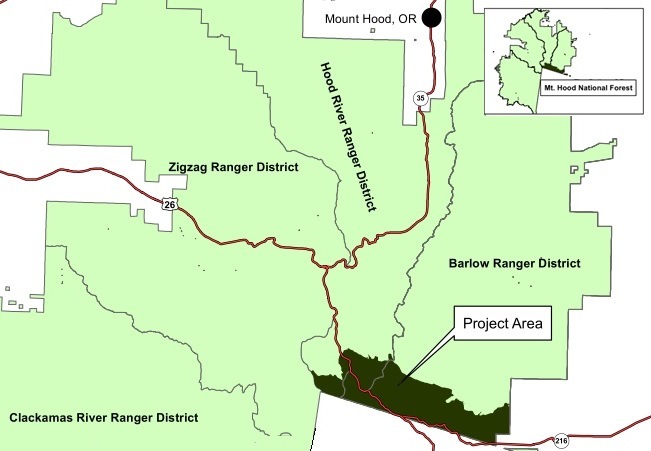 The wolves’ range likely overlaps the area slated for logging in this project. “The northern Oregon Cascades are a wilder place with wolves back on the landscape and their presence confirms that habitat in this area is recovering after a century of heavy logging. Impacts of the Crystal Clear project could destabilize this new pack,” said Nick Cady with Cascadia Wildlands. “The climate crisis is upon us and we must do everything we can to reduce carbon emissions. 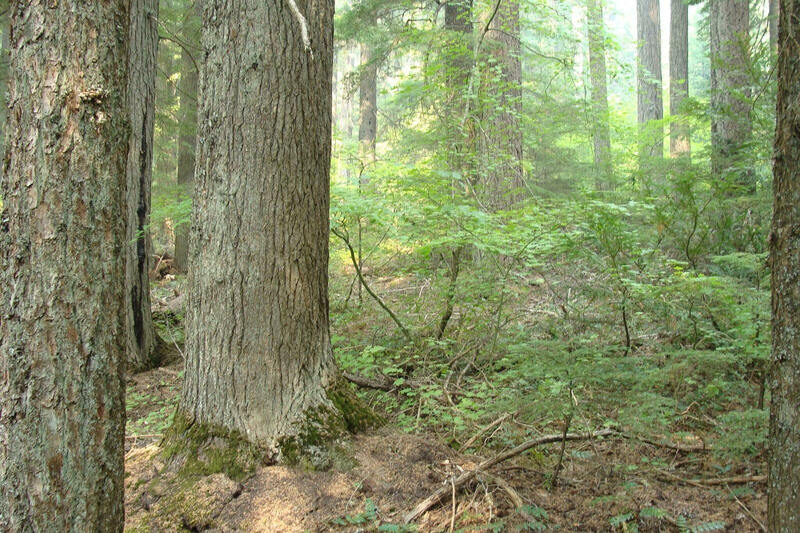 The Forest Service has failed to explain why it is choosing to conduct extensive logging that will transfer thousands of tons of greenhouse gases from the forest to the atmosphere and make climate change worse, when sound forest conservation could actually be part of the solution.” said Doug Heiken of Oregon Wild. The lawsuit points out that after a lengthy assessment and public process the U.S. Forest Service disregarded the best available science and public input, opting instead to simply ‘get out the cut’. The Wasco Forest Collaborative group is active in the area but was not consulted in the planning of this project. Legal action by the plaintiffs comes after the Forest Service failed to resolve the concerns brought by the groups and members of the public. The groups charge that the Crystal Clear Restoration Project was authorized in violation of federal laws and regulations intended to protect the public’s natural resources and ensure informed, well-reasoned decision-making.